Hi guys, thanks for checking out the show! If you heard last month's, you'll have an idea of how it goes here - things are slightly on the harder side, building from energetic uplifting trance to a bit of hard trance and back again. So if you like it banging you should love it! I'll try and post a tracklist up during the show. 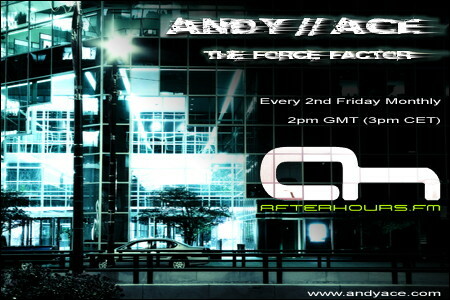 Check out my website (Andy Ace) for mix downloads and my trance podcast. Last edited by AndyAce; Apr 11th, 2008 at 12:01. Yeah absolutely love that tune too! Doing very well thanx, nice afternoon here in northern England, where are you guys listening from?? Tyas rocks my world. Saw him at a very small club here in Newcastle last year (just a couple of hundred people) - amazing atmosphere, he blew the roof off! He's doing all the festivals over here this summer so can't wait for those. Did you know he's recently started his own podcast? THAT IS ONE HELL OF A LINE UP!! !